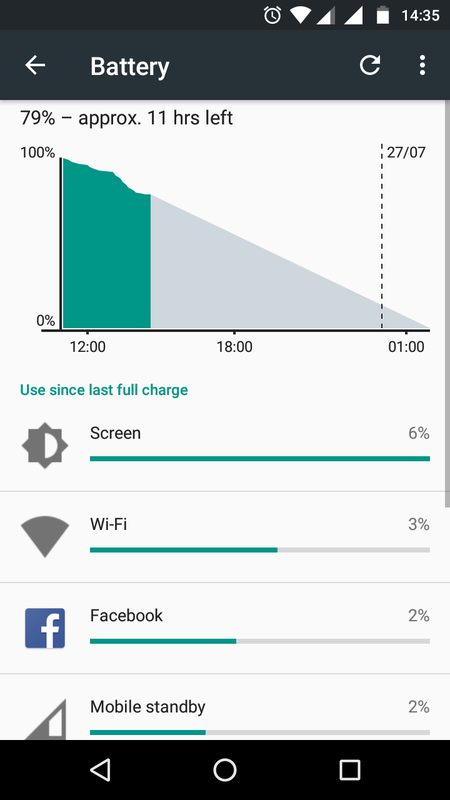 Battery usage of a phone largely depends on its use and the hardware it has. To make it long lasting and want to get from your phone then you have to reduce the hardware usage like disabling the sensors which are not in use or reducing the brightness however these sensors don’t take a lot of current but the continuous usage can reduce the battery life. Once you put your phone on charge make sure to charge it fully. Screen: – Reduce the brightness of the screen. Always remember Screen takes a large amount of current. Reduce the Screen Timeout: – Make sure to reduce the screen timeout time to 30s or less. Turn off the auto -brightness sensor which varies the screen current to change the brightness. Turn off the location sensor when not in use. You can also change the location accuracy from High Accuracy to Device Only. These are the few options to increase the battery life of your phone. You can also buy a power bank in case of emergency. Phones with old processor consume more battery than the modern processors because of the newer architecture and chip design. You can also check the running services in the developer options (To activate developer options go to Settings>About tap build number continuously for four to five time to get it activated) to know which of services are most active and uses more RAM. Uninstall the apps that you don’t use if it is a system app you can disable it.